Going into the final day of the 2018 Laser Under-21 World Championships, there was only a two point difference between the top two sailors in each of the Standard and Radial classes. But only being able to drop one score meant that you couldn’t just worry about one other competitor. And every race mattered. The wind was a little lighter than the previous day. And there were certainly some shifts, but they were not quite as dramatic as the first few days of competition. Conditions were really quite good for Laser racing. In the Standard fleet, Philipp Loewe (Germany) had fallen out of the top spot the previous day. So it would all come down to how things went today. “The wind was relatively stable. There were some shifts and you had to make good decisions but they weren’t as dramatic as what we saw early in the event. Having boat speed was crucial,” said Loewe. And he had enough boat speed and good decision making to finish 5th in the first race. 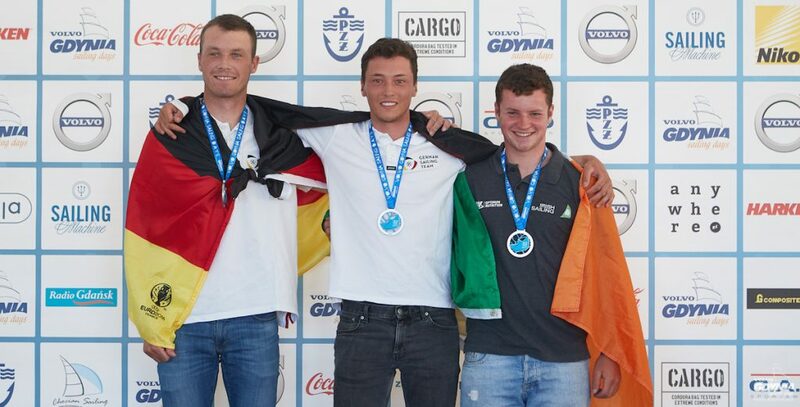 But just as importantly, Liam Glynn (Ireland) who had come into the day as the overall leader did not fare so well, finishing a little more than a third of the way down the fleet. 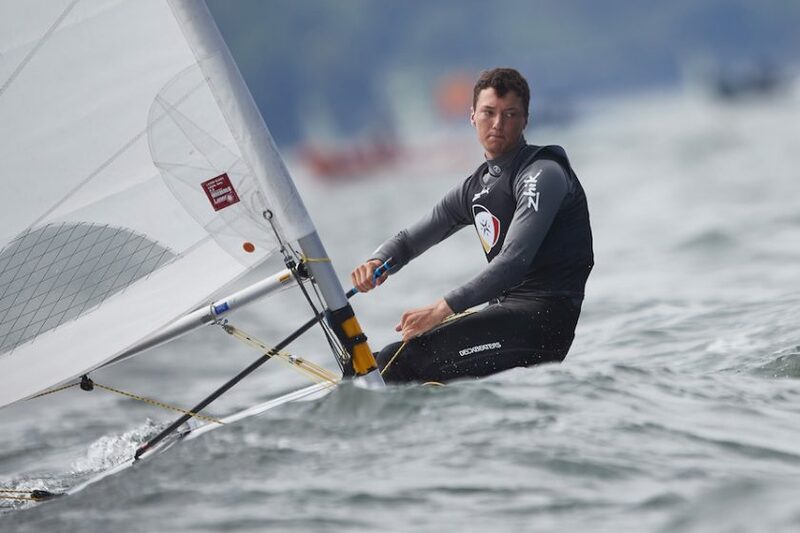 At this point, the German sailor had control of his destiny, only needing to finish better than 17 in the final race, which he easily managed with another 5th place to win the 2018 Laser Standard Under-21 World Championship. Henry Marshall might be thinking “What if…” In the first race of the day, he was the first to cross the finish line. But it turns out he had been over early and thus disqualified. That was his second bullet in the Championship that had been wiped out. Previously he had taken a post race penalty after finishing first on day 1 for infringing a rule, so that he ended up with a 22. But for those two mistakes, he would certainly have been in contention for the Title. As it was, he managed a solid 5th place in the Championship, and the confirmation that he could win races in a very competitive field. In the Radial Fleet, Anna Munch from Denmark had been battling Italy’s Carolina Albano for the top spot the past couple of days. Coming in with a two point lead, she didn’t fare so well in the first race, finishing 14th, but perhaps more importantly, she fell behind the Italian sailor moved from two points down to four up. At the same time, Elyse Ainsworth and Zoe Thompson, both from Australia, closed the gap a little bit from third and fourth. The title was potentially open to several sailors going into the final race depending on how things fell out. 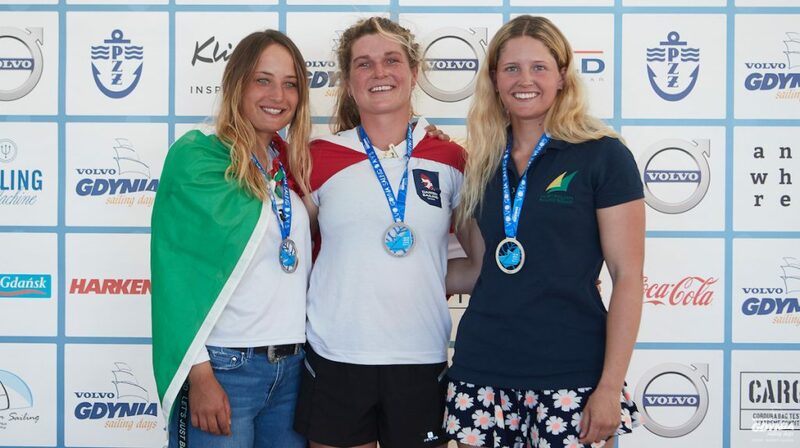 Philipp Loewe and Anna Munch performed consistently well across a wide variety of difficult conditions to earn their Laser World Championship titles.